It is a common misconception to picture the two in the same locale. Polar bears are only found in the northern ends of the earth. Antarctica is home to most of the world's penguins. This also explains why the Jackass penguins flourish in some parts of South Africa. The Coca Cola ads are wrong unless Coke really does unite the world. 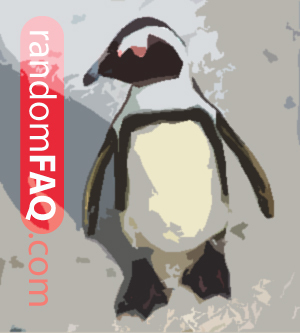 Related information: Polar Extremes and Unbearable Temperature?.